The original recipe for this thick fruity sauce dates back to the 1850's. Made by the Wilkin family company in Tiptree, England, it delivers a smoky and tangy flavour and retains its home made feel. Like so many of our products, where we offer smaller pack sizes to suit our customers, we are bringing you the famous Tiptree brand of jam, marmalade, honey and sauces in small as well as standard pack sizes. 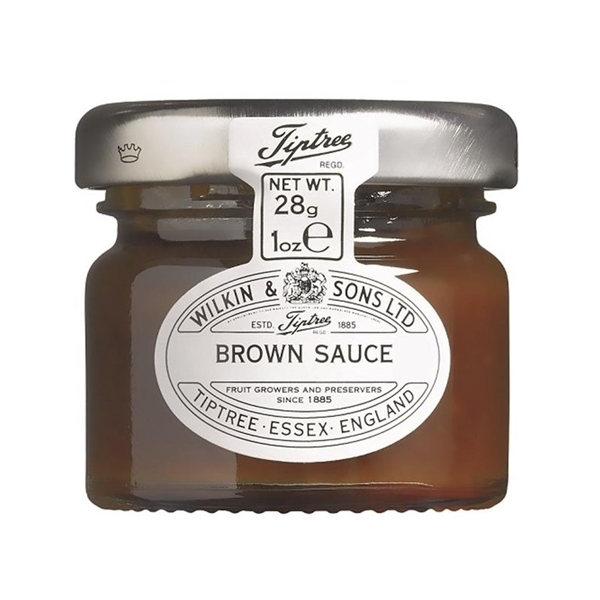 The Wilkin family have been farming at Tiptree in Essex since 1757, and making quality preserves since 1885. They grow a wide range of traditional English fruits and use them to make their high quality jams and marmalade free from artificial colours, flavours and preservatives in their factory by the farm. What a great British institution! Tray open/plastic damaged, jars loose Out of Eden - We contacted Riet to discuss the condition of the parcel she had received from us. Luckily there is no serious damage to the contents.